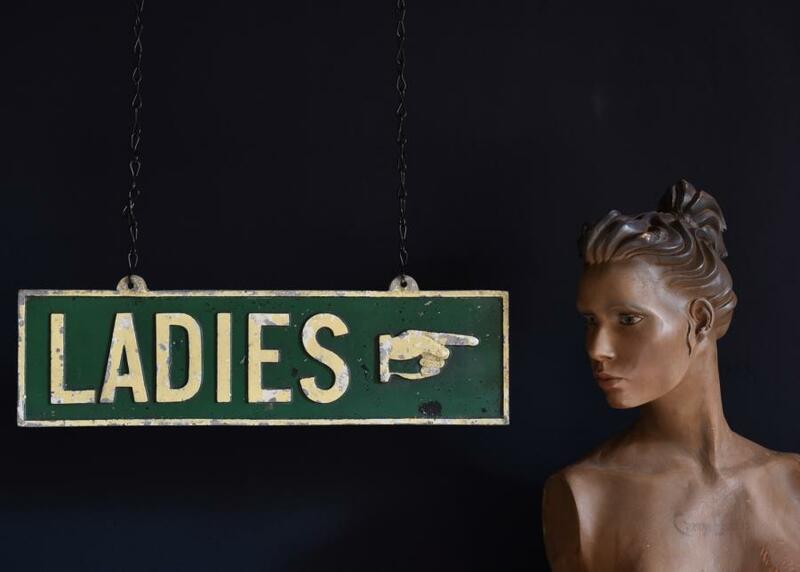 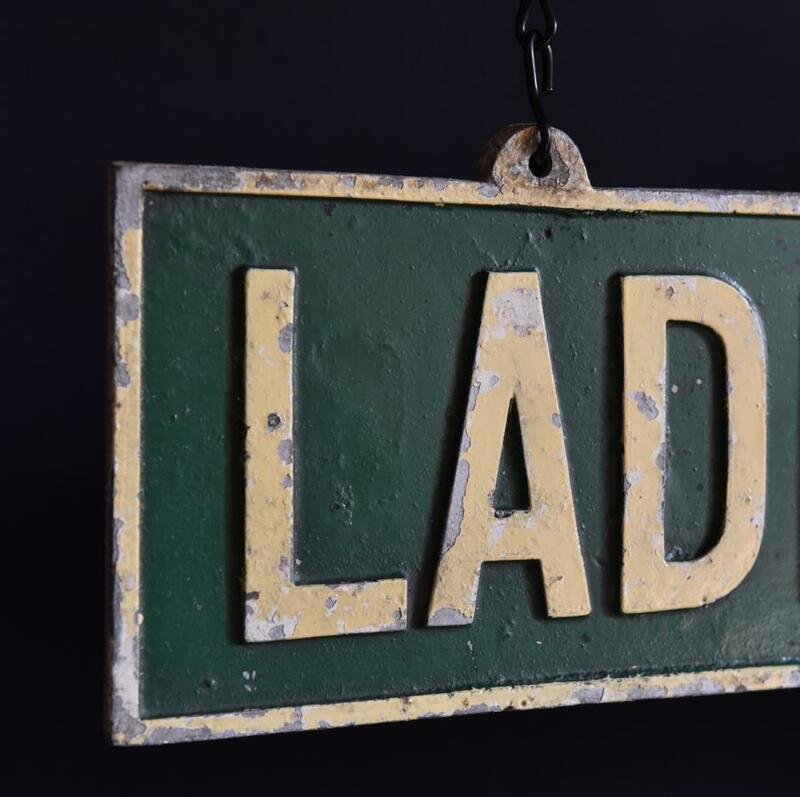 A cast aluminium double sided "LADIES" sign with hanging eyes. 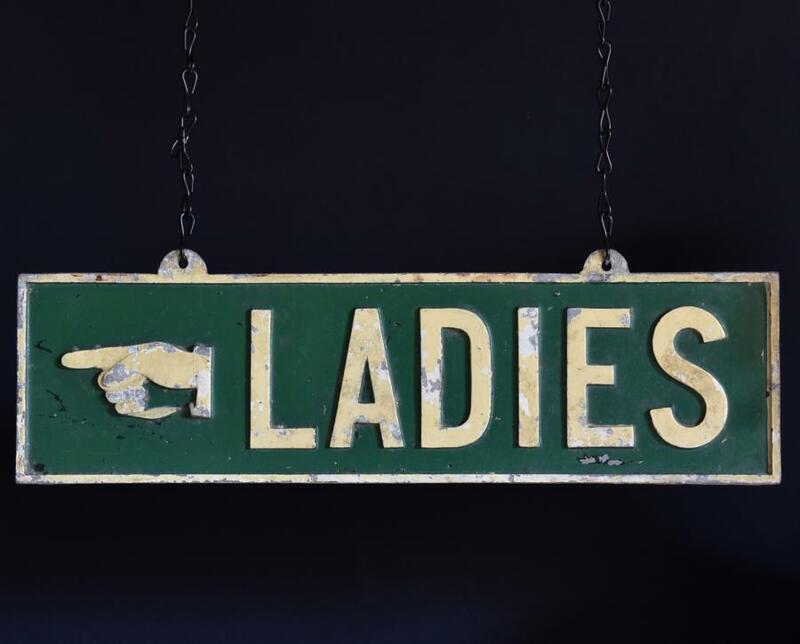 Dimensions in inches(cms); 22(56) wide x 6.75(17) tall x 0.5(11mm) deep. 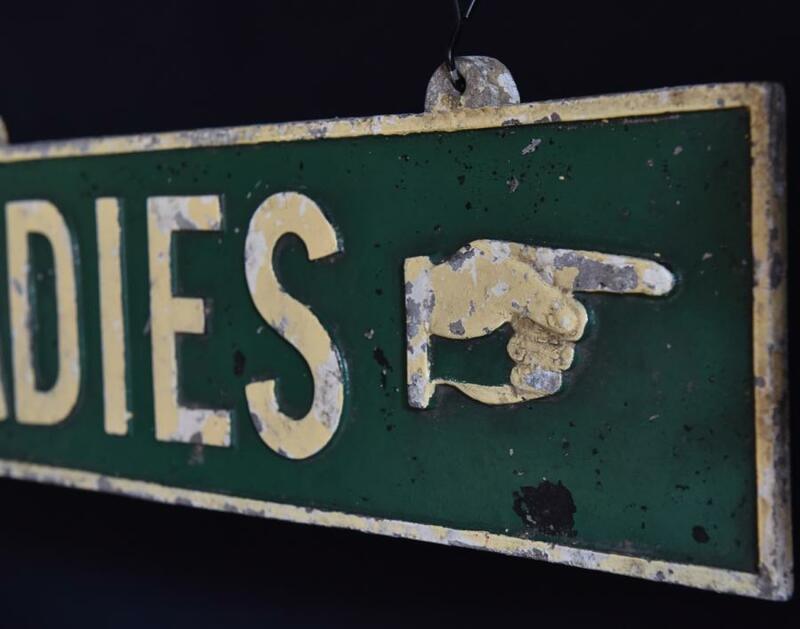 See Haes blog (via NEWS TAB on HAES website) for bigger photos.